Be all you can be. The Caroline takes form from the traditional military I.D. 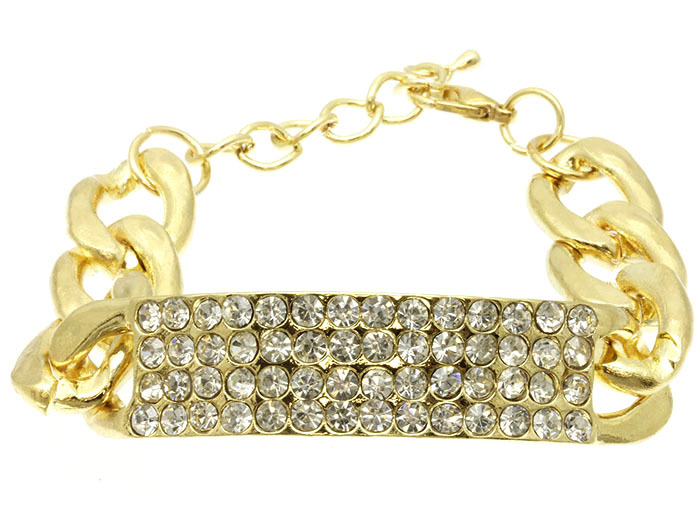 bracelet with a punch of sparkle. Featuring an I.D. plate laid with rows of rhinestones on a gold-plated twisted cable link. Including clasp fastening and extension chain. Too gorgeous for drill training. We hope you enjoy shopping for online jewellery here with us today.